THE OPERATIONS, gruelling rehabilitation programmes and endless hours in the gym have been agony. However, as Kevin Cuthbert finally accepts defeat in his bid to play again, he would rather focus on the ecstasy of his two decades between the sticks. Being part of the squad which lifted the Challenge Cup with his home-town club, St Johnstone. Stepping out at Hampden Park for a League Cup semi-final with humble Ayr United. That penalty save from Jason Cummings which catapulted Hamilton into the Premiership at Hibs’ expense. Not bad for a player whose own teammates in the Saints youth ranks didn’t think had a prayer of making the grade. “With a bit of luck I could have played for another couple of seasons – but I’m not going to complain about luck,” said Cuthbert. “I look back at my youth team and I can pick out some great young players, some who only lasted a couple of years and some who never kicked a ball in senior football. “I don’t think anyone thought that I would be the one who went on to have a professional career. Yet this June would have been 20 years. I worked harder than anyone to make the most of my chance and I don’t regret anything. “Being from Perth, winning the Challenge Cup with St Johnstone was amazing and I had a special 10 years at that club. One afternoon, however, stands out. May 25, 2014, with Hamilton side trailing 2-0 from their promotion playoff against Hibs, few gave Alex Neil’s side even a puncher’s chance of turning around the deficit at Easter Road. 120 minutes later, they had redressed the balance due to goals from Jason Scotland and Tony Andreu, sending the encounter to a penalty shootout. With Accies leading 4-3 on spot-kicks, young Cummings stepped up and Cuthbert plunged to his left to parry clear. “That was probably the pinnacle,” he smiled. “Everything about that day was breathtaking, the comeback, the atmosphere, the team spirit. It just felt like the start of something special – and they are still up there now. In keeping with his character on the pitch, Cuthbert never gave up trying to regain full fitness. He exhausted every surgery, pill, workout plan, rest scheme. You name it, he tried it. 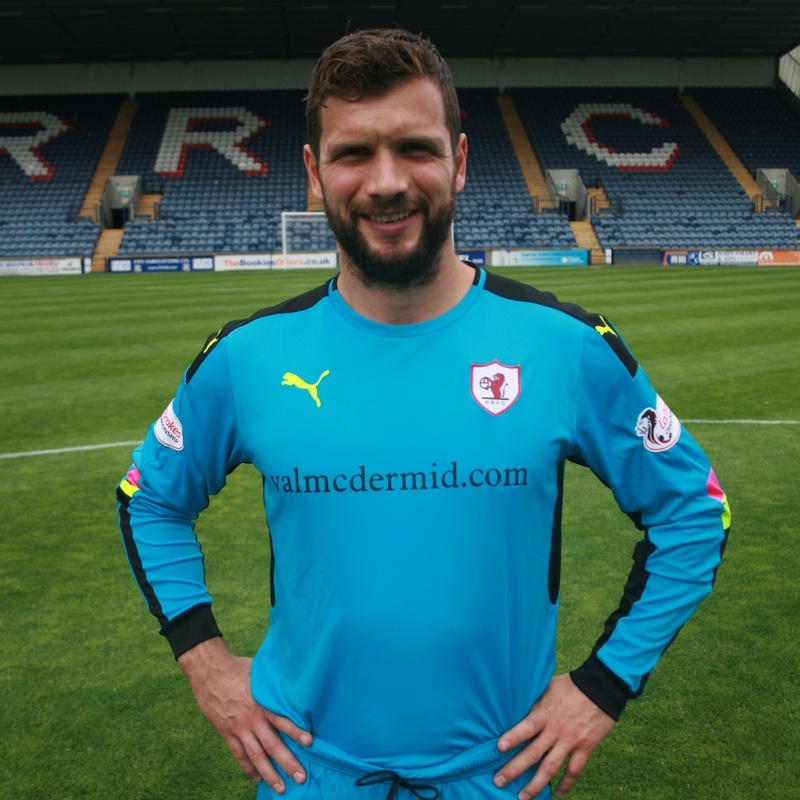 However, a recent visit to a specialist in Leicester heralded the worst possible news and yesterday – almost a year to the day since he made his last ever appearance in a 3-0 defeat against Dundee United – it was confirmed that a persistent groin injury has forced him to hang up his gloves. “I’ve exhausted every avenue and for the best part of a year I’ve worked every day to try and get back,” continued Cuthbert. “I went down to see a specialist and he confirmed what everyone was starting to think, that there hadn’t been enough progress. However, Rovers will be at the heart of the next step in Cuthbert’s career. He is already a valued member of Barry Smith’s coaching team, working behind the scenes with the likes of Craig Easton and Scott Robertson during the Fifers’ surge to the summit of League 1. As one door closes, another opens for the man fondly known as ‘The Cat’. “I’m really enjoying being a part of Barry’s team,” he added. 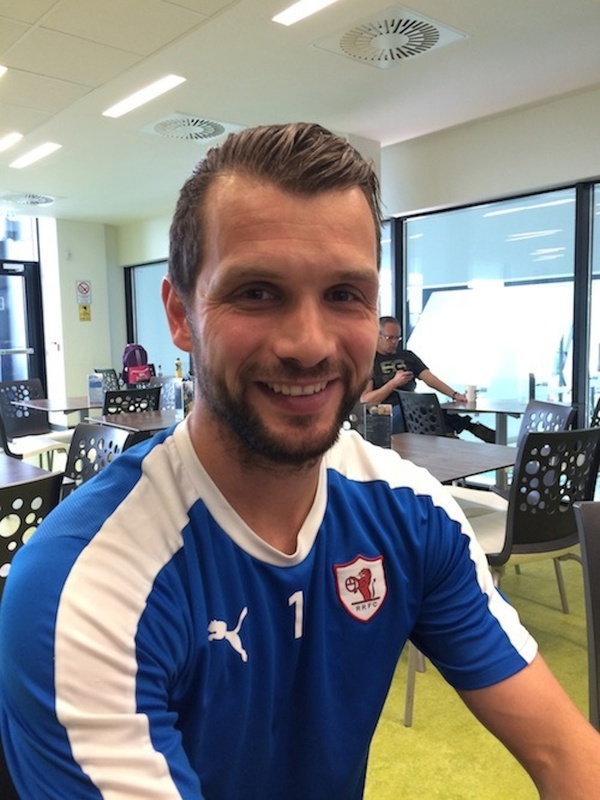 “With Scott Robertson and Craig Easton in there, it is a young, enthusiastic coaching team and we are desperate to drive Raith Rovers back to the Championship. “It has been a learning curve already. Even just little things, like making sure you have training facilities when the snow hits – you think that just magically happens when you are a player!